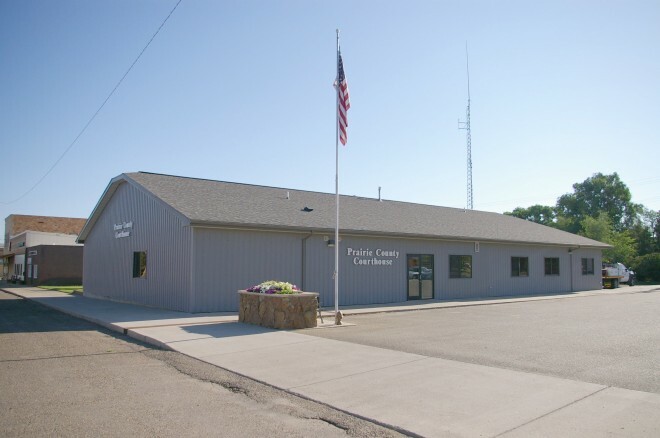 Prairie County is named for the prairie land of the Great Plains within the county. 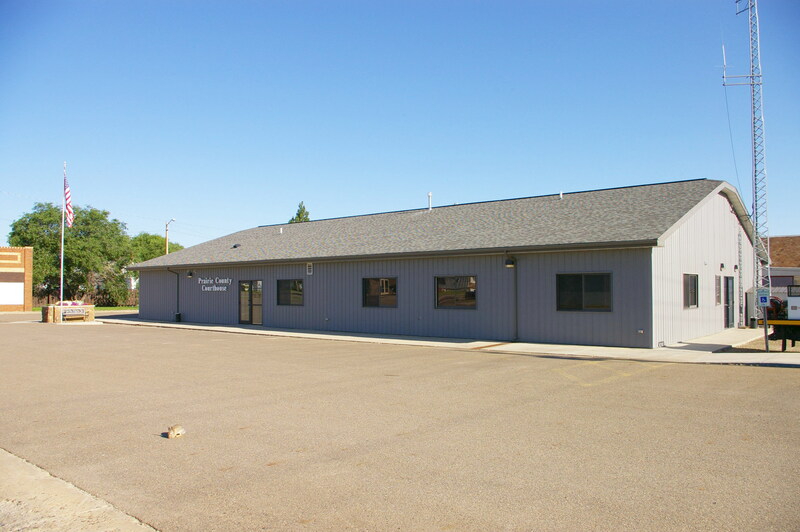 Description: The building faces south and is a one story gray metal clad structure. The south front has a central entrance with small windows towards the east side. The roof is pitched. 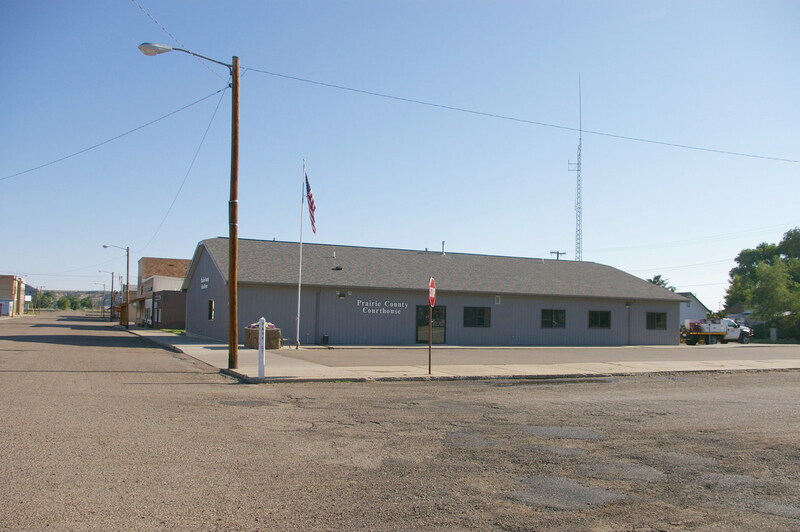 Note: The old courthouse was built in 1915 and burned in 1995. .